Get IBM Cloud $1200 value with no strings attached! – IDEAS? What Should We Do Next? We have a holiday gift from Cognitive Class for you. 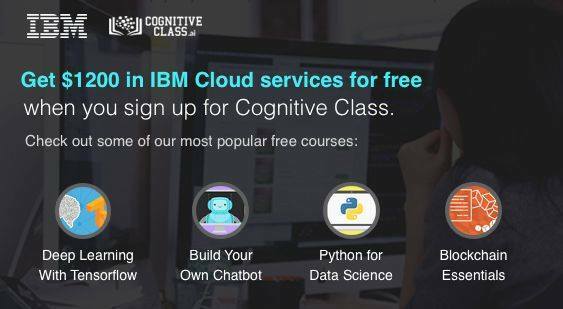 Use IBM Cloud for 6 months free of charge. This offer is valued at US$1200. No credit card and no autorenewals. Learn more and claim this offer at Cognitive Class.